Fine art giclee prints and cards available. 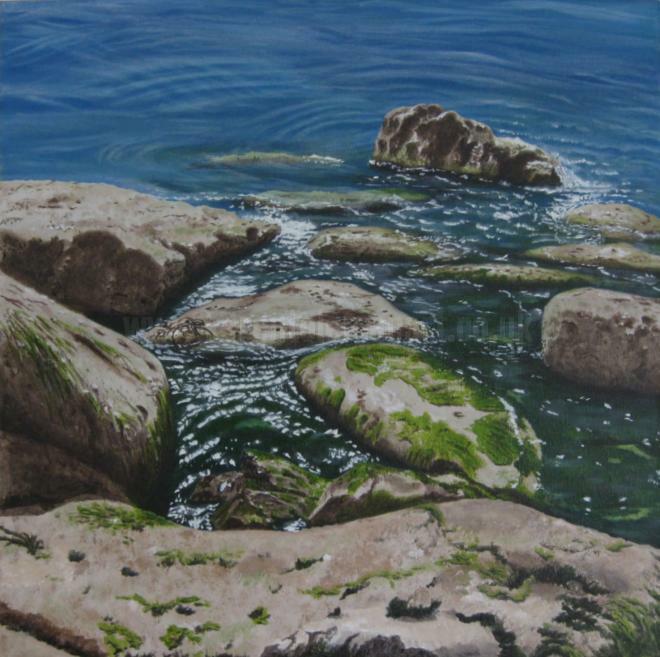 Whilst scrambling around the rocks at Portland Bill, making sketches and taking reference photos for forthcoming rock pool paintings, I stopped and sat for a while, just enjoying the sun and sound of the sea - and there it was - "time out". July 2015 - This painting has just been awarded the Greyhound Trophy for the best seascape at the Bridport Art Society Annual Exhibition. This painting has now been professionally framed with a matt white float frame.